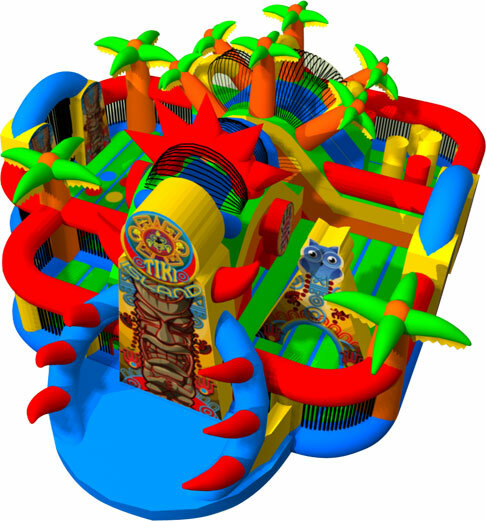 The Tiki Insland inflatable obstacle course brings out all the fun in kids. Kids can battle their way through obstacles, uphill over the climb to the slide. Participants can even crawl through the Tiki tunnels. With amazing exterior & interior artwork guests are sure to stop and try to compete in this inflatable obstacle course!